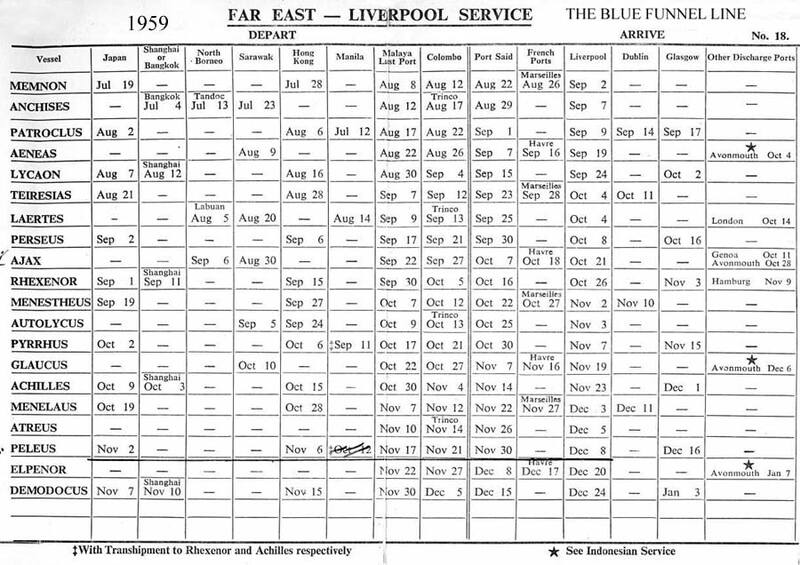 Where were the Blue Funnel boats in 1959? 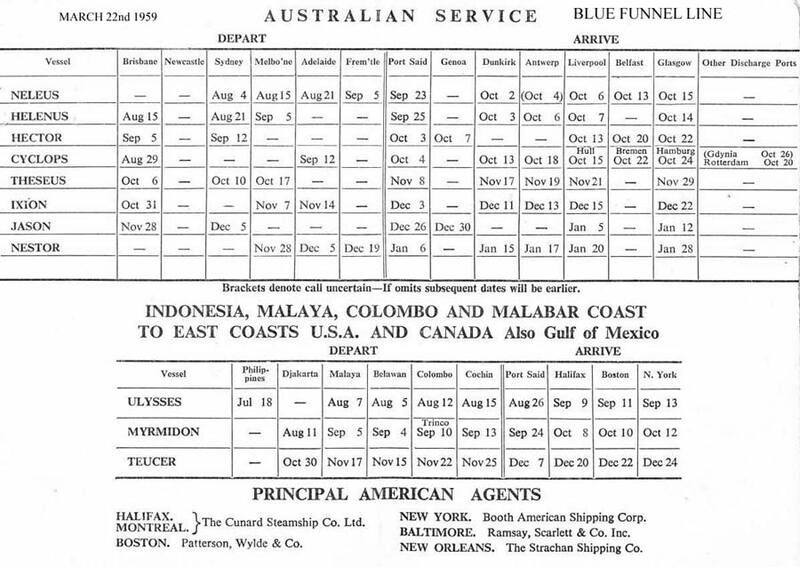 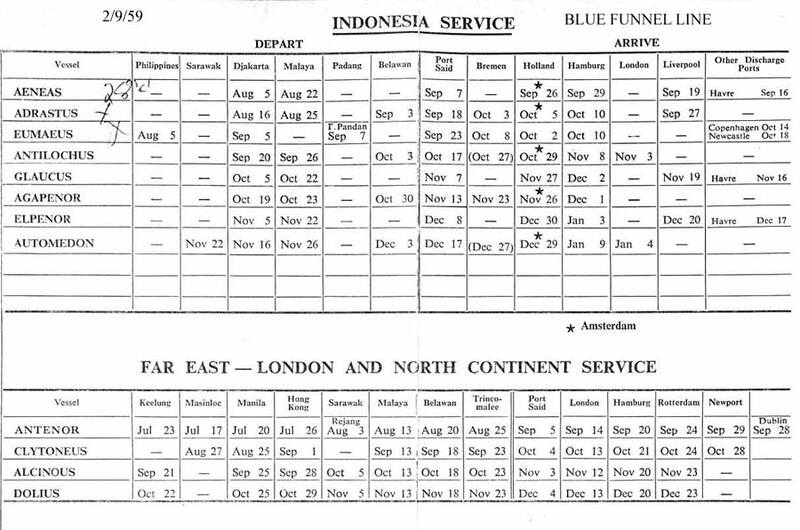 Many Thanks to Mr G Jones, for these Blue Funnel Line, 1959 Voyage Cards. 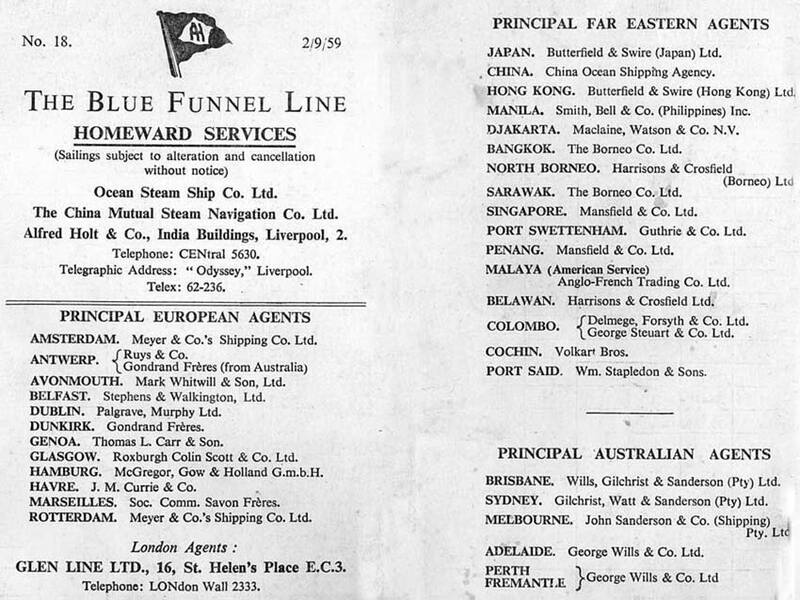 If you have some Blue Funnel memorabilia, could you send them in so we can share them with others, Thank you.